It's the 25th Century. 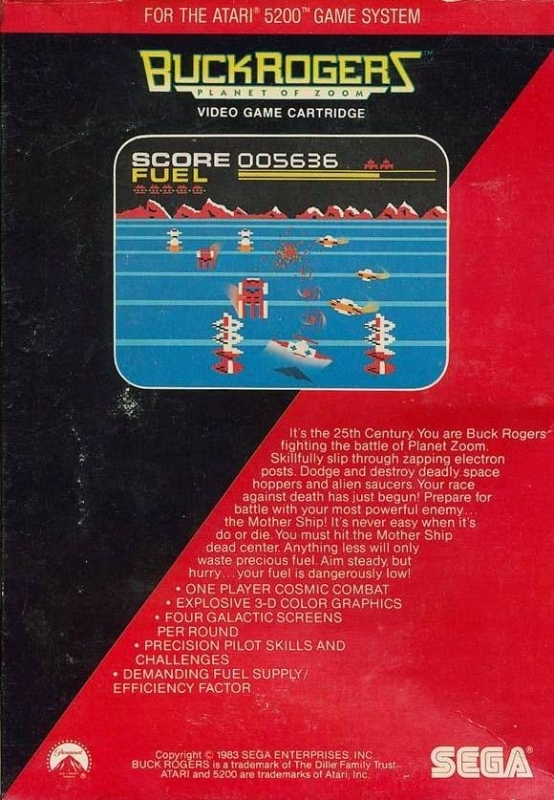 You are Buck Rogers fighting the battle of Planet Zoom. Skillfully slip through zapping electron posts. Dodge and destroy deadly space hoppers and alien saucers. Your race against death has just begun! Prepare for battle with your most powerful enemy... the Mother Ship! It's never easy when it's do or die. You must hit the Mother Ship dead center. Anything less will only waste precious fuel. Aim steady, but hurry... your fuel is dangerously low!